The Leon Levy Expedition to Ashkelon was the original pilot project for the database system now know as OCHRE. This database system was developed by David and Sandra Schloen of the University of Chicago and is used in the field and in the laboratory by the Leon Levy Expedition. The link published here provides access to the publicly viewable portion of this database, and an instruction manual to access the database can be downloaded here. The database includes further information on objects or contexts published in Ashkelon Volumes 1 through 3 and all of the raw field records from the 2007-2011 field seasons, including layer and features descriptions, preliminary pottery readings, and object identifications (many with photographs). 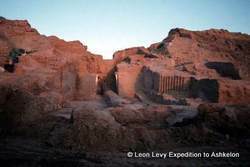 Since 1985, the Leon Levy Expedition to Ashkelon, directed by Lawrence E. Stager of Harvard University, has been a leading American archaeological project in Israel. Now, the work of the project is being collected in ten final report volumes published by the Harvard Semitic Museum. The first volume, Introduction and Overview (1985-2006), spans more than 700 illustrated pages, many in full color, and includes subjects ranging from microscopic DNA to monumental architecture. In addition, Volume 1 includes plans and descriptions of every architectural phase excavated during the course of seventeen field seasons and reveals the archaeological sequence of the site and aspects of the city plan from the Bronze Age to Crusader times, with special emphasis on Canaanite (Bronze Age) and Philistine (Iron Age) Ashkelon. The chapters in this volume, by more than three dozen contributors, combine to describe Ashkelon's cultural constants and contingencies over la longue durée (3000 BCE to 1500 CE). As a result, Ashkelon 1: Introduction and Overview (1985-2006) will be an indispensable resource for investigating the maritime and terrestrial history of the southeastern Mediterranean littoral. The Leon Levy Expedition to Ashkelon continues its final report series with a study of the city destroyed in the campaign of the Babylonian king Nebuchadrezzar in December of 604 B.C. In this era, Ashkelon’s markets linked land routes from the southeast to a web of international Mediterranean merchants, and this volume describes the Iron Age bazaar where shopkeepers sold the goods of Egypt, Greece, Phoenicia, Cyprus, and Judah. In addition, in another part of the city, a winery produced a homegrown vintage for distribution abroad. This volume spans more than 800 full-color pages illustrating the range of imported and local artifacts recovered by more than ten years of excavation. The twenty-eight chapters, by more than two dozen contributors, combine to describe Ashkelon’s pivotal role in the economy and politics of the late seventh century B.C. As such, Ashkelon 3: The Seventh Century B.C. is an indispensable resource for those interested in the Iron Age history of the Eastern Mediterranean and the study of trade and economy in the ancient world. 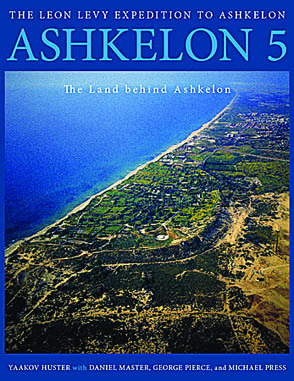 The PDF version of Ashkelon 3 is enriched with OCHRE content. Combining old surveys with new material from salvage excavations, The Land behind Ashkelon provides a wide regional context for the excavations at Tel Ashkelon. This volume is a distillation of numerous excavations by many talented archaeologists, brought together by Yaakov Huster, a man who has devoted his life to preserving the cultural heritage of the Ashkelon region. Yaakov Huster has not only revisited older surveys but has also taken into account the enormous amount of new information collected by the archaeologists of the Israel Antiquities Authority (IAA) over the last several decades. This volume synthesizes all available data to create the most accurate and updated regional survey of the Ashkelon region to date. As such, it is an invaluable resource to anyone studying Ashkelon and its hinterland. The Leon Levy Expedition to Ashkelon continues its final report series with a study of the fortifications of the North Slope. From the first gate and rampart in the Middle Bronze Age through mud-brick towers from the Iron Age, these defenses are evidence of how the seaport of Ashkelon was both a political force in the southern Levant and an economic power in the eastern Mediterranean. This volume includes the monumental mud-brick gate of Ashkelon, the shrine of the silver calf, and towers from the time of the Philistines. Since each ancient fortification phase was also a massive earth-moving project, the detritus of the entire city found its way to the North Slope. Within the extensive fill, excavators uncovered indications of connections with Crete, Cyprus, Lebanon, and Egypt, while also collecting evidence of local Bronze Age agriculture and animal husbandry in an urban center. 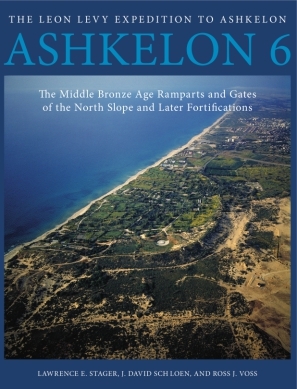 An indispensable resource for scholars interested in the history of the Bronze Age in the eastern Mediterranean, Ashkelon 6 spans twenty-five chapters with more than 500 full-color pages and a number of foldout plans. The architecture, stratigraphy, pottery, and other finds are presented in detail, shedding new light on this important period in the history of ancient Canaan. Excavation of Grid 20, investigating the Snake Tower on the walls of Ashkelon, led by Professor Denys Pringle from Cardiff University. The aim is to excavate the interior of the tower with the possibility of obtaining a stratigraphical sequence covering all phases of the walls’ construction and occupation. The excavation will be important for understanding the plan of the tower and its phases of construction, occupation, abandonment and destruction, and thereby contribute to a fuller understanding of the history of Ashkeon’s medieval defences and Crusader occupation of the city. 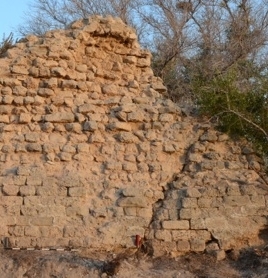 The results of the excavation will contribute to Professor Pringle's broader investigation of the walls of Ashkelon. The work in Grid 32 is a salvage excavation undertaken in order to identify a location for the construction of infrastructure improvements to the Ashkelon National Park. This is provided an opportunity for investigation into the urban plan of the ancient city in the later periods of occupation (Hellenistic, Roman, Byzantine, Islamic, Crusader) near the intersection of the main N-S and E-W roads (cardo, decumanus). Architectural features excavated relate to the movement, storage, and distribution of water: drainage channels, a basin, and a cistern. Most recent excavations in Grid 51 were led by Laura Wright (Johns Hopkins University) and Jonathon Wylie (University of Wisconsin - Madison). Work in this area has uncovered a dense sequence of occupation spanning the Iron Age through the Islamic Period. The goal of our final seasons of excavation was to uncover the 604 BCE destruction layer wrought by Nebuchadnezzar II of Babylon. In 2015 we were able to uncover this destruction in about half the grid. Shattered pottery, collapsed walls, burnt floors, and widespread ash are the effects of this catastrophe that brought Iron Age Ashkelon to an end. We will finish excavating some Persian Period remains in the eastern half of our grid, and then uncover the 604 BCE destruction layer below. The Geoarchaeology Mapping Project was led by Dr. Stephen Moshier of Wheaton College. Geoarchaeology applies methods of investigation and knowledge of earth sicences to archaeological studies. Recent geoarchaeological projects at Ashkelon include a drilling program to reveal the subsurface stratigraphy of the site beyond areas of excavation leading to a physical model of the landscape before it was settled and built upon by successive cultures. Hypotheses have been tested about the existence of an inland harbor and changes in the natural landcape by human activities, including quarrying and rampart construction. Geologists on site work with archaeologists to identify artifacts and building materials composed of rocks and minerals and to distinguish and interpret naturally deposited statra among the archaeological layers. Chemical analyses of natural and cultural deposits, as well as dating methods, contribute to interpretations of their orgins. At the conclusion of every season, the staff of the Leon Levy Expedition to Ashkelon prepare a report recording initial impressions of the season. These reports include plans, hand drawn sections, images, and the first attempt at synthesis. Since the preliminary reports are prepared in quickly at the end of the season, they do not represent the final conclusions of the Leon Levy Excavation. Still, they are a valuable first-impression from experienced stratigraphers. A Photo Archive of more than 6000 images from the the 1985-2000 excavations seasons of the Leon Levy Expedition is presented in a Google Picasa archive. The images are tagged according to the descriptions entered in the original photo record, and further analysis may change their attribution. Higher resolution images will be released through the OCHRE database system as the artifacts are published in the Ashkelon final report series. This archive is presented as an aid to researchers looking for particular artifact types in the unpublished collections of the Leon Levy Expedition. The Ashkelon online bibliography was compiled from a variety of sources in order to provide a starting place for students and scholars researching the ancient history of Ashkelon. In order to faciliate the aquistion of these resources, each source has been given an electronic link. Items in books are linked to WorldCat (WC). Articles are generally linked to a Google Scholar (GS) search, those some may link to Google (G) or directly to the resource (DL). Any feedback on broken links or incorrect citations is appreciated.